Air India’s newest Boeing 777-200LR VT-ALH Maharashtra has finally flown after a gap of over 31 months after it was in storage since March 29, 2012. The test flight AI555 took off from Mumbai’s Chhatrapathi Shivaji airport around 13:20 on Friday, January 9, 2015 and performed a series of race track circuits for about 100 minutes (1h40m) before returning at 15:50. During the flight, the aircraft was flown up to an altitude of 38,000ft. 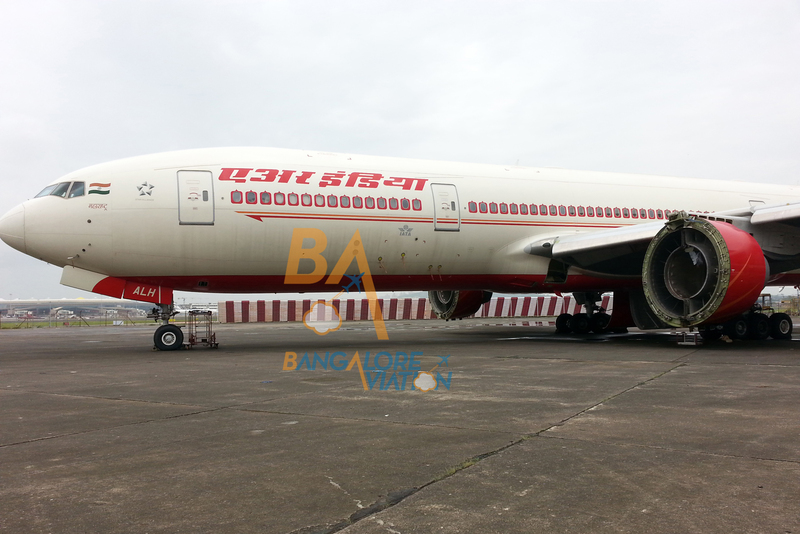 Path of AI555 test flight of Air India Boeing 777-200LR VT-ALH after 31 months in storage. Image from flightradar24.com. 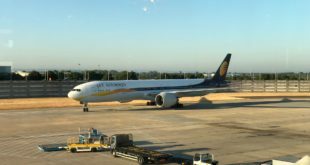 In March 2014, Bangalore Aviation had first reported the once proud aircraft being left out in the open in a dilapidated condition and pathetic condition. Our story went viral around the world, becoming our single most popular article for the year 2014. (Read the story). 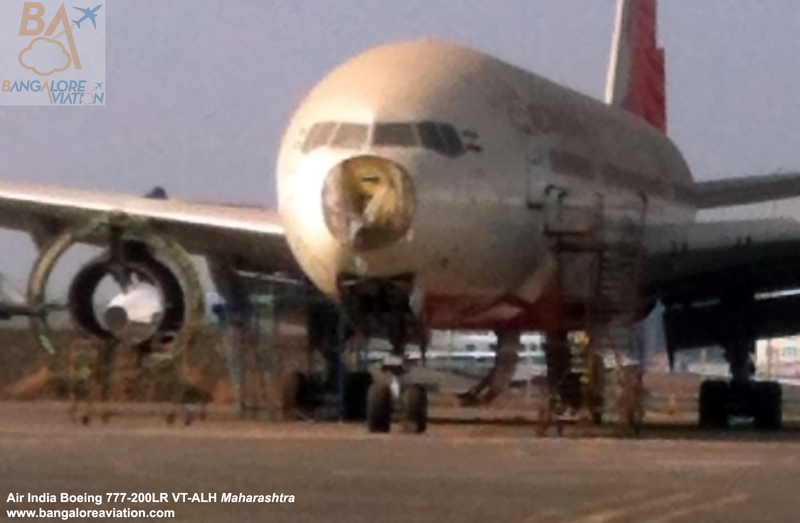 A dilapidated Air India Boeing 777-200LR VT-ALH at Mumbai airport. March 27, 2014. 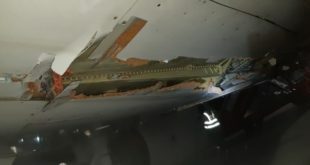 We also reported when the airline repaired the aircraft, again with pictures on August 28, 2014. (Read the story). 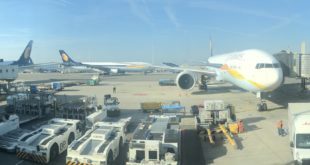 While the airline vehemently denied it, it was later learnt that VT-ALH had been used as a “Christmas tree” to supply parts to refit the five Boeing 777-200LRs Air India sold to Abu Dhabi based Etihad Airways. (Read the story). 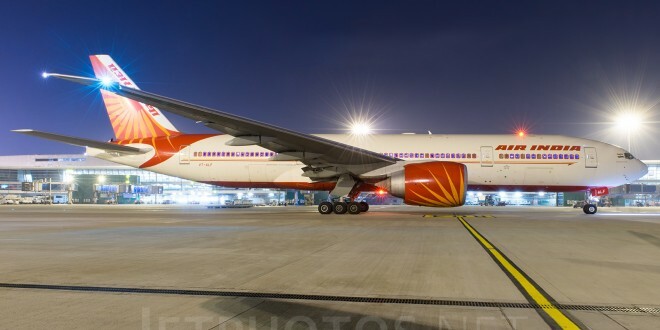 The three remaining Boeing 777-200LRs in Air India’s fleet VT-ALF, VT-ALG and VT-ALH had been tendered for sale, though the airline, facing ill-informed political pressure, has now offered the aircraft only for lease. (Read the story). 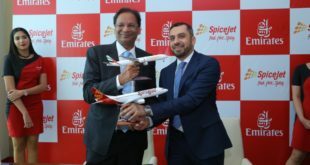 Sources at the airline indicate that a deal for the last three LR aircraft has been concluded with Etihad Airways, and delivery should be effected within the next two months. Most likely once the fog season at Delhi completes and Air India can go back to using its 787 Dreamliners which at still not certified for low visibility operations by India’s civil aviation regulator, the DGCA. At present VT-ALF is being used for domestic flights while VT-ALG is in storage for a little over nine months now.